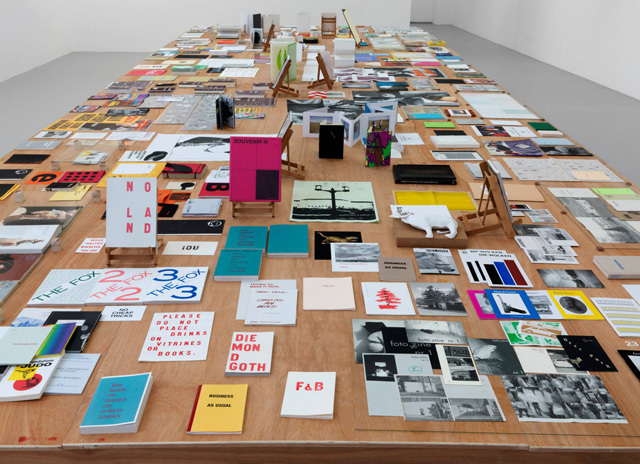 The exhibition presents circa 300 books in an attempt to offer an overview, and initiate an archive, of recent artists' books. It focuses on publication as a medium and context for art practices. It looks at the ways in which artists use the format of the book as an artistic strategy exploiting, and often expanding upon, its nature as a fixed but randomly accessible sequence of words and images. All the books selected are either self-published or participate in a minor economy of small publishers. Their modes of production and circulation, as well as the conditions under which they are experienced and stored, strengthen their content. 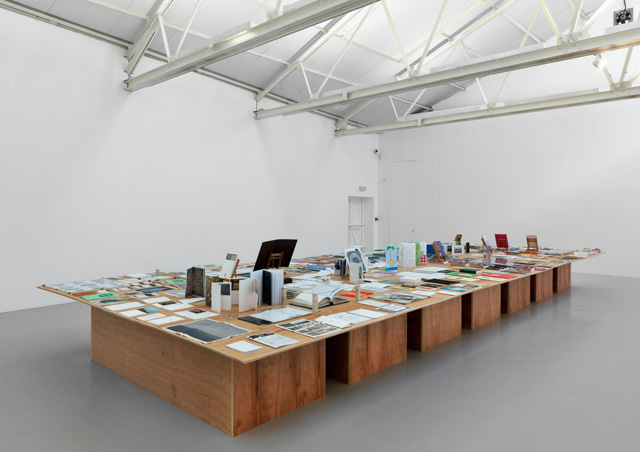 The exhibition attempts to address this through different modes of presentation: a vast communal display table, a more concentrated reading station, and an exact catalogue. A certain surplus of vitality, a metaphoric, affective and social overflow of the codex structure is underlined.